I fled, or I at least, backed awkwardly away from journalism because I wanted the freedom to make things up. I did not want to be nailed to the truth; or to be more accurate, I wanted to be able to tell the truth without ever needing to worry about the facts. 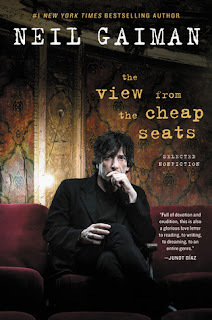 About The View from the Cheap Seats: Selected Non-Fiction by Neil Gaiman*: An enthralling collection of nonfiction essays on myriad topics—from art and artists to dreams, myths, and memories—observed in Neil Gaiman’s probing, amusing, and distinctive style. Gaiman. I drool. 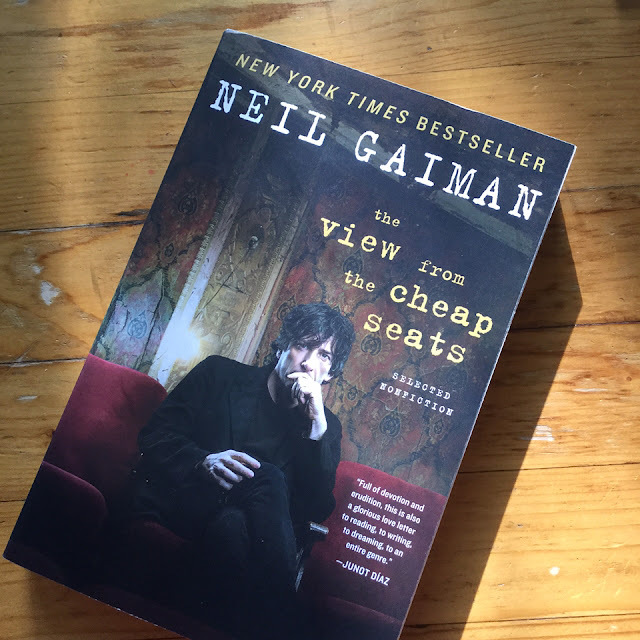 I went on huge Neil Gaiman reading binge when I discovered him and I honestly cannot get enough. This is the first time I am reading his non-fiction though ... so I am pumped! Have you read any of Neil Gaiman's work? Would you read his essays?